OBJECTIVES Gas flow measurement plays a very vital role in petrochemical industries and process plants. Flow measurement and control is an essential requirement for assuring the quality as per the relevant standards. It is the objective of this course to enable the participants to update their knowledge in the area of oil,water and gas flow measurement and control techniques & Standards. TOPICS General Orientation Programme on India and its culture. Theory Session 40% , On the job Lab/ Hands on training 40%, Evaluation of Projects and Standards presentations 20% on an average. a. Basics of Engineering drawings, Symbols, notations, schematics etc. Over view of units and conversion factors. 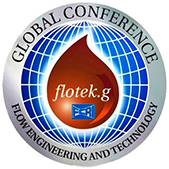 c. Element of flow Technology Management, Method validation. d. Hands on experience on calibration of fow meters like orifice, venturi, Turbine flowmeters,Ultrasonic Flowmeters, DDM, Electro Magnetic Flowmeter, Magnetic Flowmeter, Vortexmeter etc using water/ oil / air media, Calibration of CNG mass flowmeters, Methods validation. e. Testing of valves, safety valves and related pipeline products, air release valves, Calibration of PD meter for Oil application. Selection & Application of flowmeters used in Oil & Gas medium.Different types of flowmeters.Control Techniques, Different types of control valves -Butterfly, Ball,Globe, Angle valve etc.Intelligent control valves, Flow characteristics of valves, non return valves, upstream/downstream control valves / gas filling head. Calibration of secondary instruments in flow meterng & control, meter prover,Flowmeter "Model Approval" as per Organisation Internationale De MetrolgieLegale (OIML) Standards,Calibration of flowmeters in multiviscous media,Instrument, software for flowmeter & control valve selection and sizings. International Standards followed in Oil and Gas flow measurement like API ,AGA,OIML etc.Custody transfer in petro chemical industry – Norms / Calculation, Heating value calculation. Assessment of uncertainty and statistical analysis of accuracy in fluid flow,Traceability or measurement, maintenance aspects of flowmeters, valves and its related custody transfer instrumentation according to OIML /ISo standards. Fluid flow pressure surge analysis , inspection and auditing of flowmetreing stations to check conformance to API/AGA, Flow measurement and control in industrial process control, natural gas properties and computation for flow correction,Oil and gas network distribution analysis technique storage tanks, prover systems. Flow measurement and control in distribution network.Flow computers for custody transfer Instrumentation related to flow measurement, Automatic level guaging of storage tanks, flow computers. Target Group Technical personnel in Mechanical, Instrumentation, Civil, Chemical and Electrical Engineering with some background of industrial instrumentation and control of fluid flow.Participants may be from industry, R&D organization or Academic Institutes.